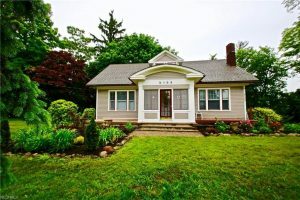 Charming Colonial Home on 10 Acres! This extra large home features 7 bedrooms!! and 2 bathrooms.. Hardwood floors and crown molding throughout. Wood-burning fireplace in living room. Formal dining room off kitchen. Kitchen features a walk-in pantry. & Basement walks out. Exterior of home is freshly painted and newly landscaped.